The easiest, fastest, and most reliable way to build incremental sales is via impulse merchandise on end caps. Madix end caps are multipurpose, flexible, and visually appealing to help you push SKUs more efficiently. 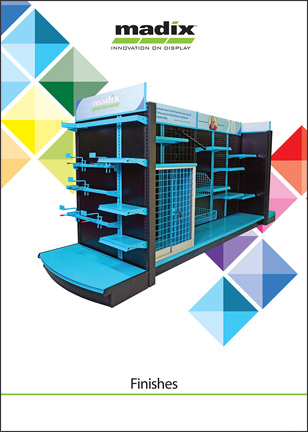 Options include bulk merchandisers, illuminated panels and shelves, three-way configurations, wire grid, and more. This guide outlines several best practices for maximizing retail endcap displays. See how different endcaps can increase exposure and sales within a store. The best endcap doesn’t have to be the most complex. Learn what makes an endcap effective compared to basic endcap configurations. Utilize wire grids, lighting, and split-back designs to create interesting endcaps to lift sales. Lighting and graphics work together to create an endcap that is truly en vogue. Get more freedom and flexibility out of a split-back endcap! Here’s a configuration guaranteed to level up impulse-merchandise sales!